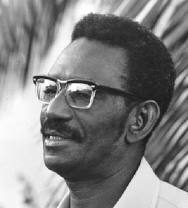 Cheikh Anta Diop was a great Senegalese historian, anthropologist, philosopher, physicist and politician. He should be considered as one of the greatest scientists after Darwin, as he demonstrated that Africa was the cradle of humanity; that everything started in Africa, and that Egypt and modern day Africans descended from the same ancestors, in other words, were the same people. Before Cheikh Anta Diop, the world, and Africans in particular, had been taught that Africa was nothing, and that Egypt and Egyptians were not Africans… that the great Egyptian civilization which gave so much to the world, could not have come from the dark brown Africans. Europeans refused to admit that although in Africa, Egyptians could be Africans i.e. Black, or rather believed that Blacks were so backwards that their ancestors could not have possibly made the great pyramids of Giza or the great sphinx. Well Cheikh Anta Diop proved them all wrong! As a physicist, I was amazed to learn that Cheikh Anta Diop was a PhD student of Frédéric Joliot-Curie, the 1935 physics nobel laureate, and Marie Curie‘s son-in-law (first woman to receive a Nobel in Physics, and first to have two nobel prizes). So Diop’s pedigree, in physics terms, was quite impressive! Moreover, he had earned two PhDs: one in history and the other in nuclear physics. He was also the only African student of his generation to have received a training in egyptology. He was well-versed in prehistoric archaeology, and linguistics. It took him almost a decade to have his doctorate degree granted: he submitted a thesis in 1951 which was based on the premise that the Egypt of the great pharaohs and pyramids was an African civilization– it was rejected. He then published it in 1955, as Nations Nègres et Culture, and received world-wide acclaim. Two additional attempts at submitting it were rejected, until 1960 when he finally managed to convince a room full of physicists, sociologists, anthropologists, egyptologists, and historians. Having gone through the hurdle of submitting and defending a doctoral dissertation, I truly raise my hat to someone like Diop who had so much stamina and endurance, and could endure a decade of rejection like that; he was truly destined for greatness! In 1974, Diop managed to prove beyond a shadow of a doubt, that Egyptians were Black people. He obtained pigment from Egyptian mummies and tested for their melanin content. He was able to determine their melanin content accurately, and later published his technique and methodology for the melanin dosage test in scholarly journals. This technique is used today by Forensic investigators around the world, to determine the “racial identity” of badly burnt accident victims. He was affectionately known as the Pharaoh of knowledge, and the Université Cheikh Anta Diop (UCAD) of Dakar was re-named after him. Check out CheikhAntaDiop.net a website dedicated to this great man, Wikipedia, Cheikh Anta Diop: The Pharaoh of Knowledge, and Africawithin.com. Don’t forget to read his books: Nations Nègres et Cultures: de l’Antiquité Nègre Egyptienne aux Problèmes Culturels de l’Afrique Noire d’Aujourd’hui, The African Origin of Civilization: Myth or Reality, Precolonial Black Africa, Civilization or Barbarism: An Authentic Anthropology [Civilisation ou Barbarie: Anthropology sans Complaisance], and many others. Please watch one of the greatest African thinkers of the 20th century, and above all one of Africa’s greatest sons (… and renowned physicist). I salute this great soul who made us proud of being Africans, who re-define history or rather wrote History the way it should have been, with Africa in its right place, as the origin of civilization. 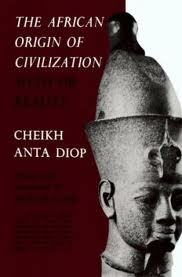 If there was an African Pantheon for great minds, Cheikh Anta Diop’s remains should be in it! 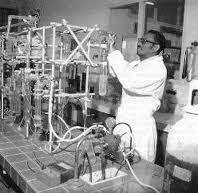 Peace Be Unto Cheikh Anta Diop and all our Poor Righteous Teachers. May we be able to continue their work. Thanks for this excellent reminder. I am realy mesmerized by the charismatic and zealious character of the elder Diop.I am proud of him as an Africa and envy his life well lived. Thank you for this well written informative piece on Dr. Diop. Who was a great man full of God and humility. The African Origin of Civilization Myth or Reality, was one of the text books used in a class I took. I am proud to be black in America. Wonderful! I did not know that one of Dr. Diop books was used in a class in America. I am so glad… because so many of us need to learn about his work, and learn to love Africa. Thank you for visiting my blog, and posting a comment on this great man. Here are the books I read from Pr. 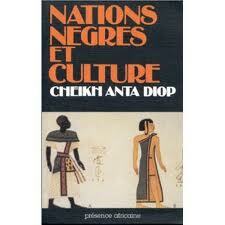 Cheikh Anta Diop: Nations Nègres et Cultures: de l’Antiquité Nègre Egyptienne aux Problèmes Culturels de l’Afrique Noire d’Aujourd’hui, The African Origin of Civilization: Myth or Reality, Precolonial Black Africa. Good post..thanks for sharing dear..